Scandinavian Hotel & Windsor Hotel – The Windsor Hotel was on the corner of 1st St and 1st Ave. SE. This is where the old YMCA was located. 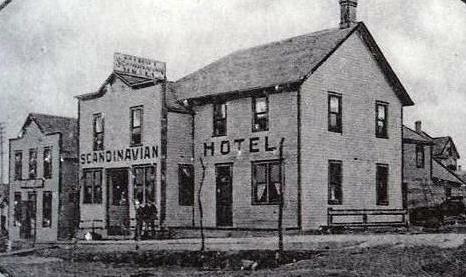 The Scandinavian Hotel was on the east side of the block on1st Avenue, just east of the Blue Rider Bar. The original Soo Line Depot was across the street, on Third Street SE. When the early settlers arrived at the Soo Line Depot, they would see they Scandinavian Hotel. Most if not all of the Scandinavian languages were spoken here. 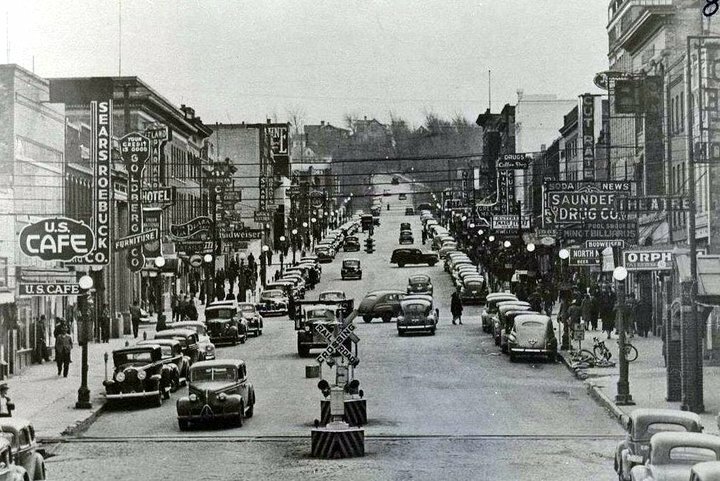 Many of the early pioneers in the northwestern part of the state arrived at the Soo Line depot and may have stayed at the Scandinavian Hotel. Eventually the Scandinavian Hotel was demolished to make room for an expansion on the Windsor Hotel.